Wanda Fricks Wilbanks, 72, of LaFayette, passed away on Wednesday, October 25, 2017. She worked many years for the Walker County Telephone Company and retired with Haun Petroleum Inc., in Noble as an administrative assistant. 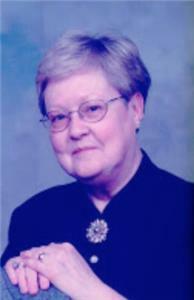 She was a member of Ridgeview Baptist Church. She is survived by her husband of 40 years, Kenneth Wilbanks; sister, Carol and husband Preston “Bud” Scott of Smyrna, GA; several nieces and a great niece, Kylie Scott; nephews, Brent (Robin) Scott of Kennesaw, GA, and Chris (Andrea) Scott of Cartersville, GA, and several other nephews; great nephews, Cason Scott, Logan Scott, and Alec Scott. Funeral services will be at 2 p.m. on Saturday, Oct. 28, in the Wilbanks Memorial Chapel with Pastor Jeremy Smith officiating. Interment will be at 12 p.m. on Monday, Oct. 30, in the Chattanooga National Cemetery. Pallbearers are Brent Scott, Chris Scott, Derek Wilbanks, Stacy Meeks, Wally Meeks, and Bobby Browder. Visitation will be from 5–8 p.m. on Friday at the funeral home. In lieu of flowers, donations in her memory may be made to Ridgeview Baptist Church 1001 Magnolia Street, LaFayette, Ga. 30728.